Sometimes it’s the simple things. 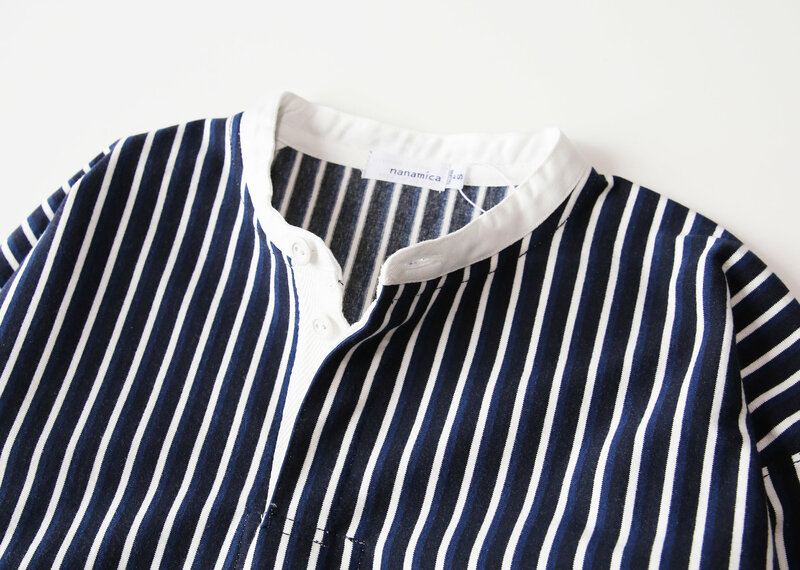 A stripy top with a white collar. Doesn’t sound like much, but it can be a game changer. Add this to your regular flex and watch it dismember your crumpled olive greens and navy blues with ferocious geometric lines. And check that dazzling punctuation at your neckline. Simple, but effective. A one-two punch of semi-formality. Boom and, to no lesser extent, boom. 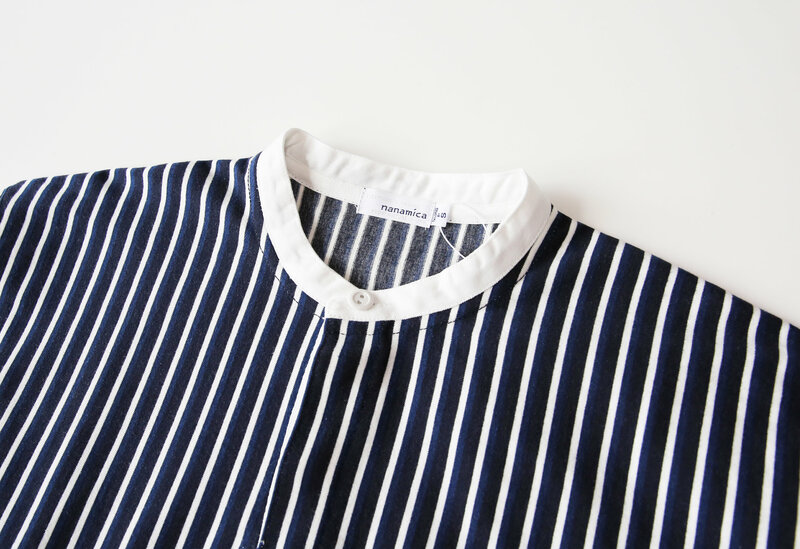 This Nanamica top is part of a fresh drop over at Alpha Shadows. And you might assume, looking at the pictures, that it’s a pretty lightweight cotton affair. It’s not. There’s some real heft going on. It has, I’m given to understand, a similar substance to the garments rugbymen wear to play the game rugbymen play. 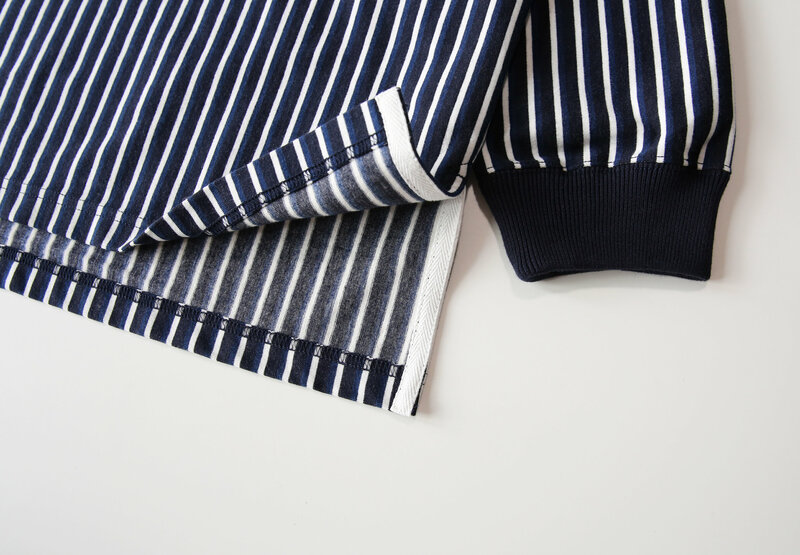 You’ll notice that the stripes are not just navy and white, there’s another tone of blue in there. It certainly adds interest and a sense of considered luxe; not something usually associated with the homologous vestments of the professional ball thrower. 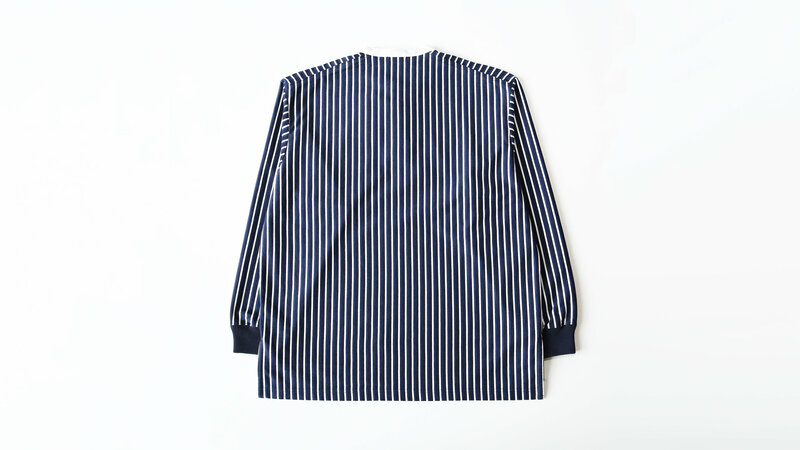 It’s a cotton/acrylic mix, you’ve got three buttons up top and a taped hem. No doubt, with that white band collar, there’s an air of the derivative peddler about this. But I think any stench of fiscal burglary can be mitigated by a more down-home approach to the rest of your fit; I’m thinking textured wool, corduroy, denim and lightly-ironed cottons. Big piece this. Looks simple. But once you realise how many looks it energises, it’ll get heavy rotation.